There is something really special about green eyes, especially when you see them up close, really close. Every dragonfly season I try to find at least one cooperative dragonfly that sees eye-to-eye with me and lets me get a shot like this. I photographed this female Eastern Pondhawk (Erythemis simplicicollis) earlier this month at Huntley Meadows Park in Alexandria, Virginia. Nice of her to cooperate, Mike. That’s a great photo. 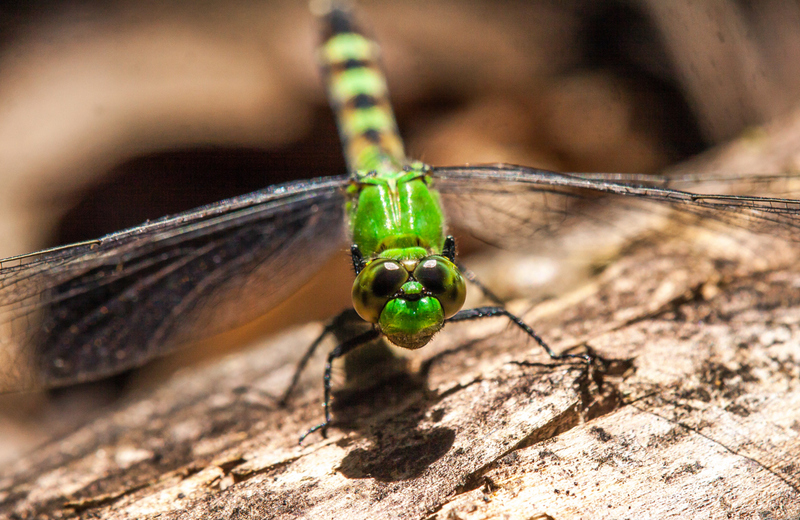 Some dragonflies are amazingly tolerant and will even perch on me from time to time. The ones who perch on me are especially cool, but tough to photograph–I think I need to do yoga to increase my flexibility. It’s so much fun to get face to face with the ones that allow it! I’m hoping for a few of these myself in a few weeks.